Well today I made Garlic White Bean Hummus for my after school work snack. I figured if I’m on a healthy kick and I’m a big snacker, I better get myself all geared up! 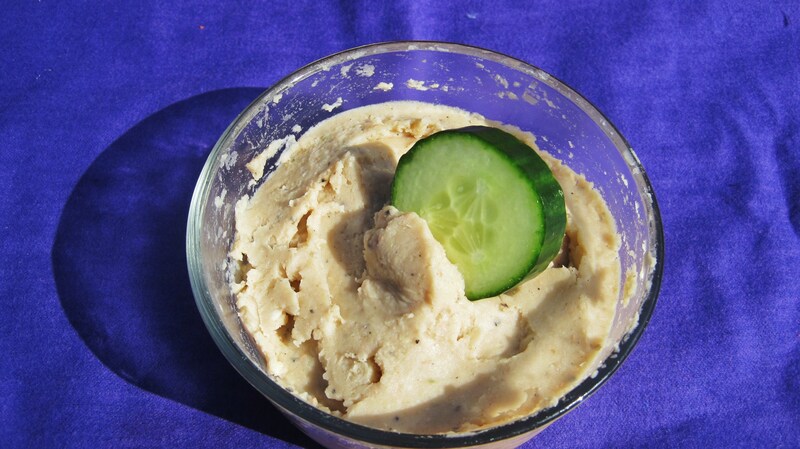 This Hummus, if I can call it hummus since I didn’t use garbanzo beans is perfect for dipping veggies and toppings on sandwiches. It has a subtle garlic flavor with just a hint of Cayenne Pepper to kick it up a notch. The nutrition stats on this hummus is awesome too!! Though it doesn’t win the beauty prize, the taste does and creaminess is so good. Very spreadable! I opted for using Cannellini Beans over Garbanzo beans because I didn’t feel like pealing the beans. This was simple, just drain rinse and throw in the food processor. I put the cloves in a food processor first, then the beans, spices, olive oil and lemon juice. Process until smooth. Use the water to help get the dip to process. Note: I used a mini food processor which was a little difficult. If you have a normal size food processor I recommend using that. 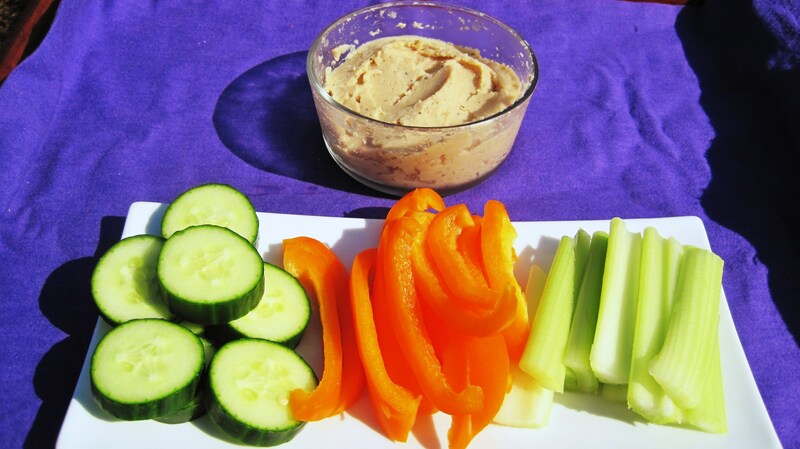 This is a very thick dip! 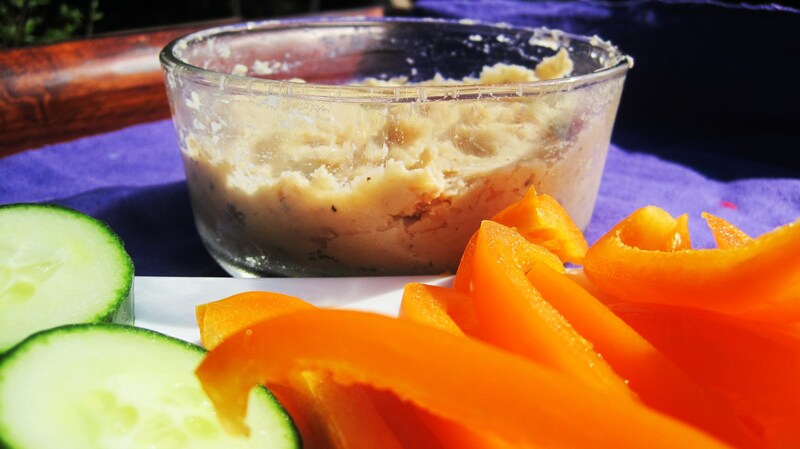 I hope you give this Hummus a try, I think you’ll like it, especially if you like traditional Hummus!! 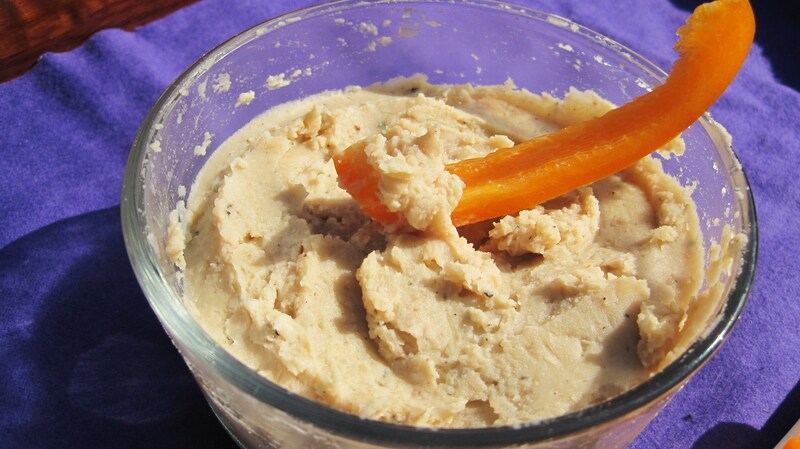 Yum, I really love hummus and it’s so easy to make! I have a lonely can of black beans in my pantry and I’ve been toying with the idea of turning that into hummus. You should try it! I have a lonely can of Black Beans too. Maybe after this Hummus is gone, I’ll try it with black beans?